Happy first day of fall friends! Fall is by far my favorite season and the number one thing I miss about not living up north any more. Down here in Florida we have "snow birds" which are people who live up north the entire year except for winter when they move down here to Florida to escape the snow. Well, I want to be a "fall bird" and move up north just for September through November. I love everything about fall, the crisp, cooler weather, the changing of the leaves, all things apple but I especially love the fall fashion. A blanket scarf is an absolute must have for fall and winter. Not only does it liven up an outfit, it's perfect for keeping your warm on chilly days! // I'm a huge fan of cowl neck sweater dresses for fall. They're perfect for a day at work then straight to happy hour or dinner! // A wool hat is perfect for fall (and bad hair days). // It's still a bit too warm out to wear boots but I've already been breaking out my booties with dresses (and even shorts). // I had been counting down the days until it was appropriate to break out my plum lipstick again. Rebel is definitely one of my favorite go-to colors for fall! // I've wanted the downtown field jacket for awhile now and I finally gave in this year and got it and I am in love! It's the perfect layering jacket for fall and great for damp days. And it's currently on sale! // I have such an obsession with oversized plaid shirts. I love layering them and Abercrombie has some of the softest (and most reasonably priced) flannel plaid shirts I've worn! // I love fall nail colors. Wicked is by far one of my favorites but this Spiked With Style is definitely on repeat right now! // Perfectly distressed skinny jeans are definitely a staple in my closet during fall. As odd as it sounds I used to hate distressed skinny jeans but I've definitely come around. And there you have it, some of my fall must-have items! What is on your fall must-have list? Love the hat and that plaid top! I love all of this! Can't wait to wear fall stuff soon :) It was 99 again yesterday here....so tried of this hot weather! I love pretty plaid and that black jacket! I have a similar one in green but the black is gorgeous! That sweater dress is adorable! Love it with that blanket scarf! The weather girl this morning said fall weather may come to Florida between October 15 and November!! Hard to believe we have to wait that long! Great picks! The Field Jacket is one of my favorite jackets as well. It goes with so much and is so comfy! I never thought I needed a wool hat until this year but now I have terrible hair envy for all the cool girls who wear them! This weekend I'm going to an fall festival and the weather is going to be hovering at about 60 degrees... perfect for fall clothes! The field jacket is a purchase you won't regret! A few years later and mine is still going strong! yep...officially want all of it! including the weather to go with it ha. i'm sweating just thinking about how hot it is. i love that lip color and nail color. def on my wishlist. and that hat! you know i love a good hat. happy first day of fall! Great list!! Love that jacket!! I actually have a black and white plaid shirt on today from Old Navy, also soft & affordable! Never thought to check Abercrombie! Hope those temps drop soon, it's just as hot here in IL too, we are having an Indian summer for sure. I love all of this. fall is easily my favorite, but as a fellow Florida girl I am begging God to give us 80 degrees haha. Fall is my faaaaaavorite! Any states have Fall year round?! Take me there haha. Love that dress and I am obsessed with hats too! All great picks! I don't have a field jacket- and I need one, STAT. :) Great list, babe! I need ALL of this! Haha! I am obsessed with ALL things fall, it's just the best time of the year! Fall fashion is the best! I think I need to invest in a wool hat this year! Nice finds I really love the booties, the wool hats are one of my fall favorites. Hahaha, I love the idea of being a fall bird, although stay away from the Midwest - so, so hot still! I need the temps to drop a little more so that I can break out my blanket scarves!!! Welcome, Fall! We've missed ya! Love the colors in that blanket scarf and a fall hat is always such a fun accessory! I live in sweater dresses through fall and winter. So easy to style with tights and boots! Girl it was 94 here today! I hope it cools down soon! 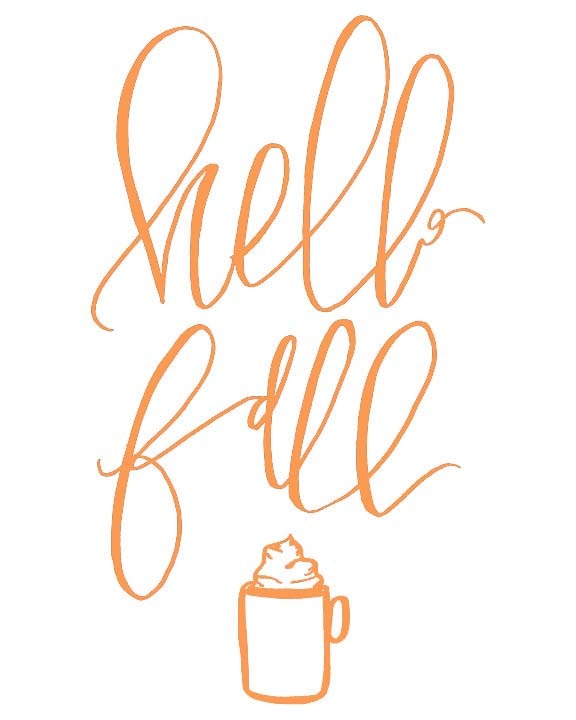 Yes to all the Fall things! We have the same temps and I'm so ready for 70's and 60's right about now, that's definitely the thing I miss most about Chicago! Blanket scarves are my absolute favorite, can never have too many :)! LOVE these picks--and that hat actually looks JUST like the one I bought recently! So ready for fall and plaid! Definitely fall must haves! I love my moto and anything plaid! Excited for darker polish and lips. That dress and jacket are so perfect! I love the idea of a Fall Bird, genius!! I literally want every single thing in this post! That cowl neck dress is perfect and I love the plaid scarf!